Creative IT is a nationwide Sony laptop repair and service company based in Central London with a strong focus on customer service and strict commitment to excellence. We have positioned ourself as London’s top choice for laptop repair and upgrade services. We are so positive that you will be satisfied with our services. Creative IT is committed to provide a wide range of high quality Sony laptop repair and upgrade services to suit our customer’s needs at competitive rates much lower then our competitors. Our Sony notebook repair services include comprehensive software and hardware troubleshooting and installation, complete system backup, repair and upgrades. Our experienced laptop technicians and hardware engineers service all Sony notebooks including the entire range of VPCCA, VPCCB, VPCB1, VPCCW, VPCEA, VPCEB, VPCEC, VPCEE, VPCEH, VPCEF, VPCEJ, VPCF1, VPCF2, VPCM1, VPCP1, VPCS1, VPCSA, VPCSB, VPCSE, VPCW1, VPCW2, VPCX, VPCY, VPCZ1, VGN-A, VGN-AR, VGN-AW, VGN-B, VGN-BX, VGN-BZ, VGN-C, VGN-CR, VGN-CS, VGN-FE, VGN-FJ, VGN-FS, VGN-FW, VGN-FZ, VGN-G, VGN-N, VGN-NR, VGN-NS, VGN-NW, VGN-P, VGN-S, VGN-SR, VGN-SZ, VGN-T, VGN-TT, VGN-TX, VGN-TZ, VGN-UX, VGN-X505, VGN-Z, SVE, SVT, SVZ, SVS, VGF-AP, VGF-HS, VGC-JS, VGC-LA, VGC-LM, VGC-LN, VGC-LT, VGC-LV, VGC-M, VGC-RA, VGC-RC, VGC-RM, VGC-RT, VGC-V and VGC-VA models. 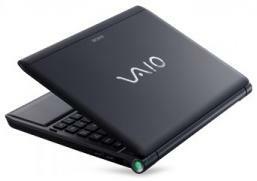 We offer same day Sony laptop repair services to customers based in and around London and fast services to UK customers. We can also arrange professional courier pick up services for those who cannot bring their faulty Sony notebook to our Central London repair centre. To know more about our London Sony laptop repair services for Sony VGN and Sony VPC notebook models, contact us at 020 7237 6805 or e-mail us at info@creativeit.tv.